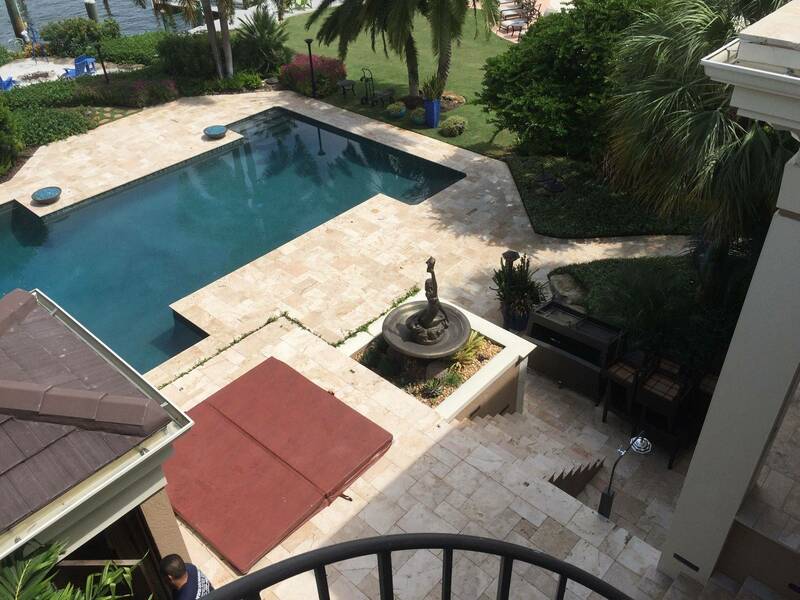 At Seven Stars We specialize in Paver Sealing, Paver Stripping, Repair and Sealing, Epoxy, Concrete ( Stain ), And Pressure Washing in General, Residential & Commercial. 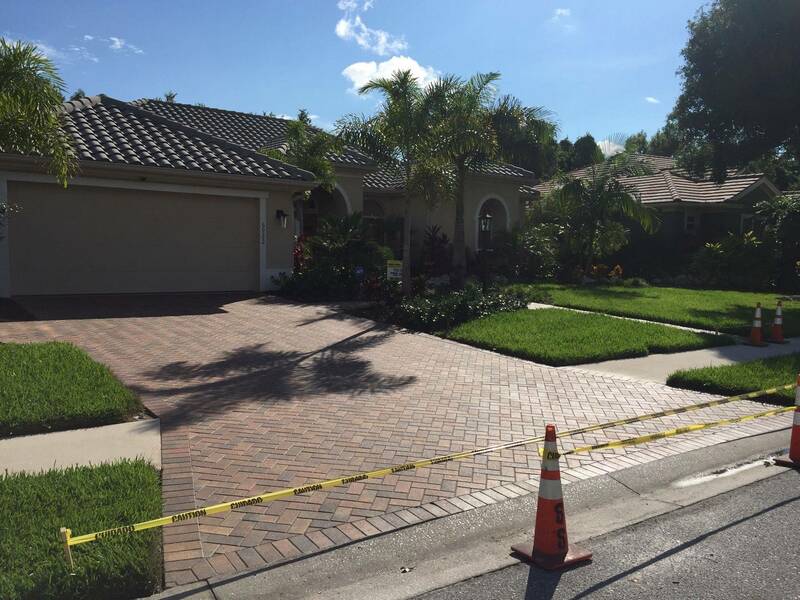 We have been Sealing Pavers longer than anyone else in the Sarasota, Manatee, Charlotte Counties, Tampa Bay Area. and have earned a reputation for work with the best quality materials. Our work is Guaranteed against bad workmanship or faulty materials for 2 Years and half – that’s longer than the period of time many paver sealing companies recommend for a re-sealing. Why Seal Pavers? Sealing both protects and beautifies pavers. How does it help? Sealing intensifies colors and can give pavers a slight sheen. 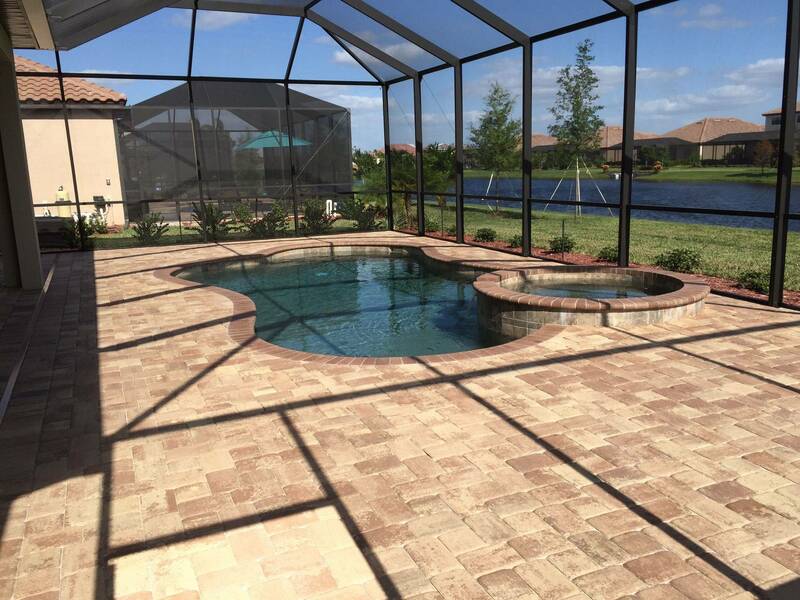 Sealant can protect pavers from UV rays, water and other natural elements, to keep the color as fresh as the day they were installed. 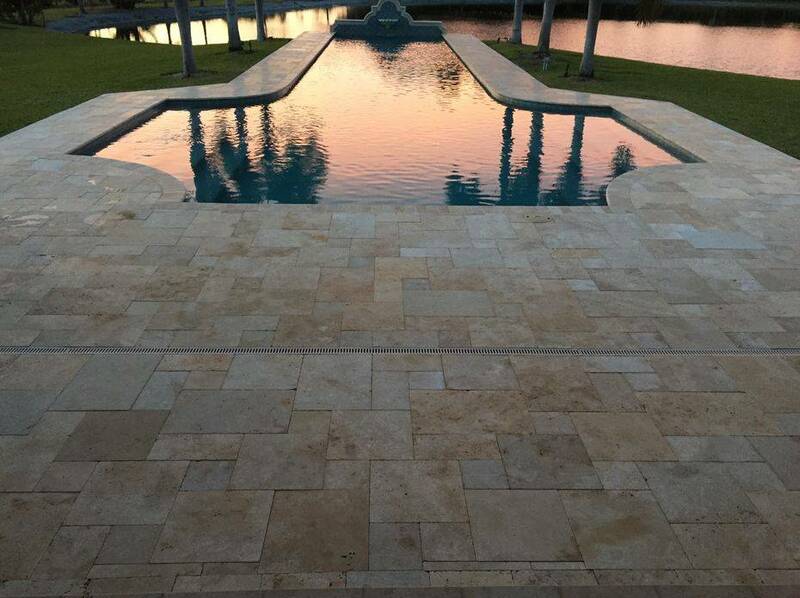 Pavers lose their color without sealing, and after five years that color loss may be irreversible. 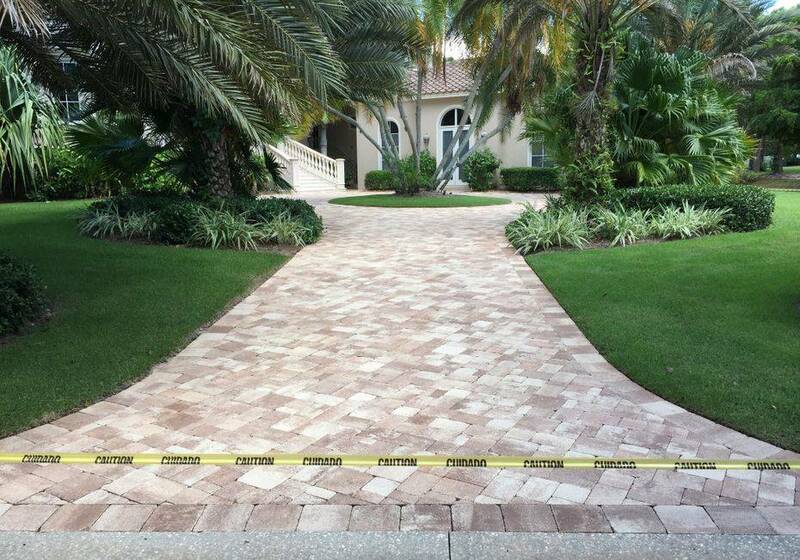 Sealing protects pavers against oil spills and other stains. This is especially important on driveways! Paver sealing prevents tire tracks. Sealer that gets in-between the pavers helps hold the joint sand in place and resists mildew, insect attack and weed growth. Sealing makes pavers easier to clean. Sealing makes pavers tougher and more resistant to wear, by increasing their surface density. Sealing helps prevent efflorescence, that chalky white coating that sometimes appears on brick concrete. 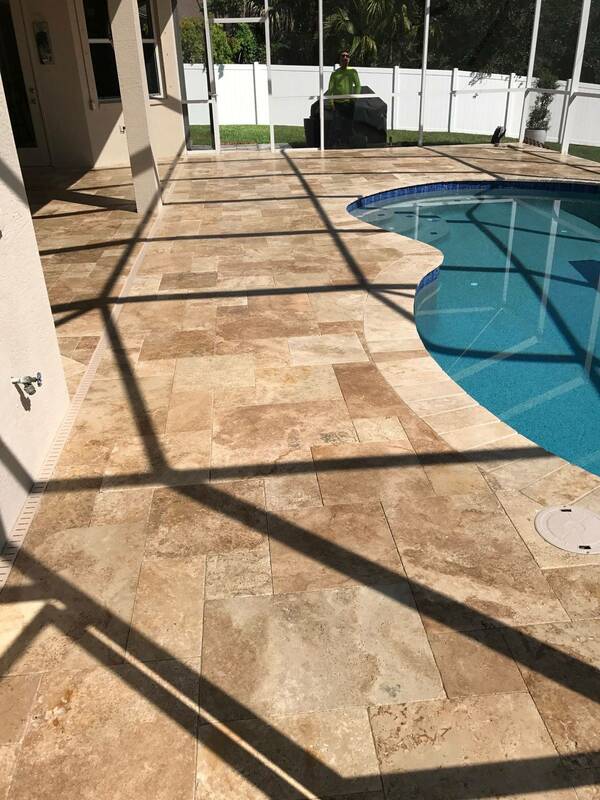 Newly installed pavers around a pool or on a patio should be allowed to dry for about 24 / 48 hours before sealing, so that moisture won't be trapped inside the pavers. 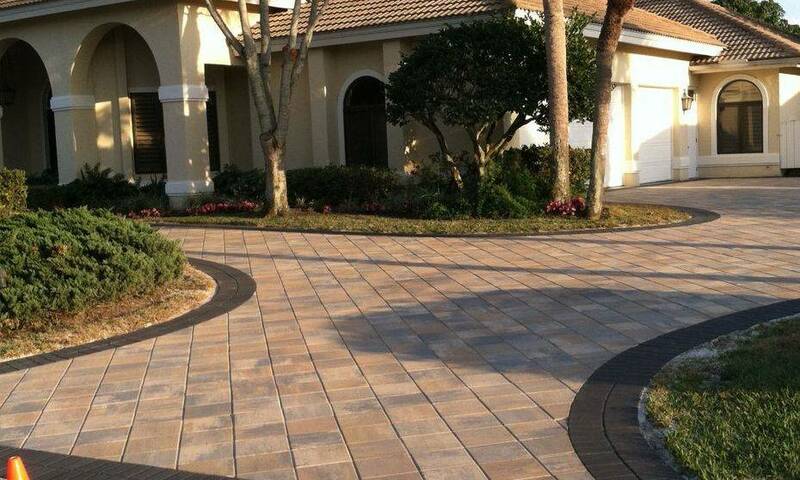 Driveway pavers may need more immediate sealing to avoid oil stains and tire tracks. Re-sealing begins with cleaning. A chemical wash starts the cleaning process, followed by pressure cleaning. This should remove most stains, dirt and old sealer. 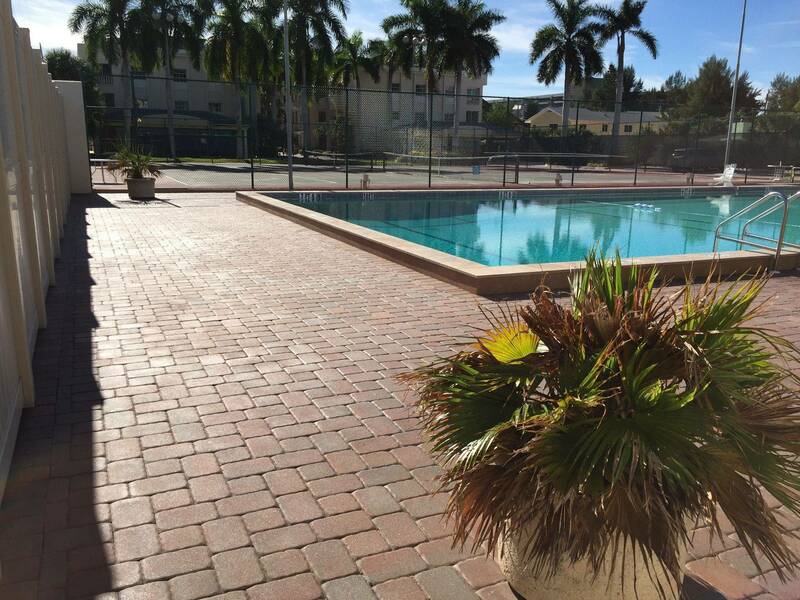 If pavers have been oversaturated with sealer, the process may need repeating. If pressure washing has dislodged much of the sand in the joints between pavers, new sand should be applied. This keeps the pavers from shifting. Depending on the weather, the pavers may have dried enough to seal the following day. 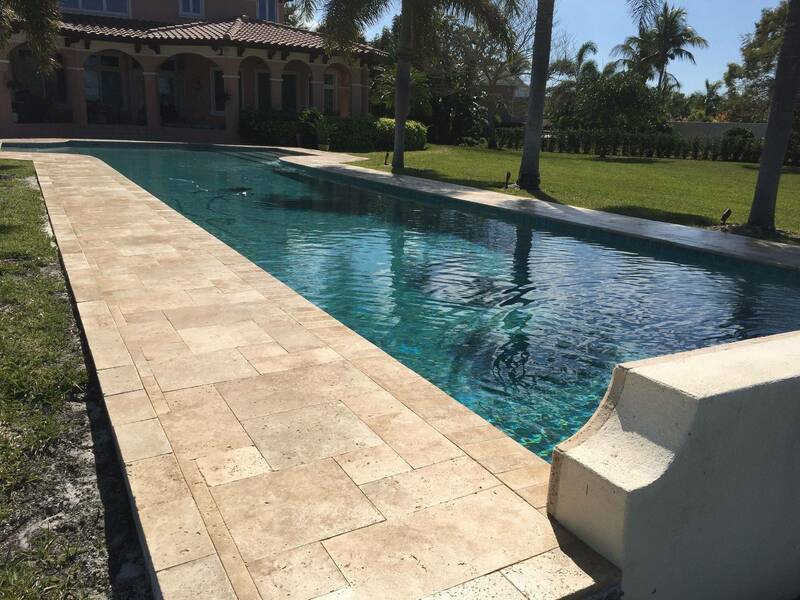 One or two coats will be applied, depending on the porosity of the pavers and the type of sealer used. The sealer will harden enough in a few hours for pedestrian traffic, but cars should not drive on newly sealed pavers for at least 24 hours.